Do you ever ask yourself: Why am I This Way; What do I Really Want? Our childhood attachments are at the heart of who we are and how we live our lives. 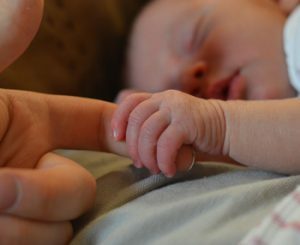 These early experiences shape our minds and even our bodies. They can cause us to act in ways that we may not like, such as searching for love in the wrong places, constantly seeking validation, or being destructive and critical towards ourselves or others. Identity Therapy will enable you to explore your identity as it was formed through your early experiences and traumas in your family. You will gain an understanding of how these experiences are influencing your ability to be in the world, to make relationships, feel good about yourself and understand who you really are. Identity Therapy normally takes place in the context of group work. You can also engage in this process in a private one to one session. Couples therapy sessions are also possible. Limor Regev-Perez and Daren De Witt offer monthly group workshops. They also each offer private sessions and they work together with couples. Everything you need to know for your own trauma healing is within you. You can access it when you are ready to take the risk. Identity Therapy (Identity-oriented Psychotrauma Therapy) was developed by Professor Franz Rupert, alongside his trauma theory, from roots in the family constellations work of Bert Hellinger. This significantly revised method also incorporates current scientific and psychological theories of limbic resonance, bonding and attachment. Read more about this method on our About Identity Therapy page . . . Identity therapy is a way of exploring our sense of who we are and resolving internal contradictions that are affecting our behaviour, our interaction with others and our sense of wholeness. Identity therapy does this by focusing particularly on the formative experiences in our lives which very often happen in infancy, at a time when we have no memory. Modern science confirms that we face many challenges as we develop from conception onwards. Some of these challenges may be traumatic, ie emotionally and physically overwhelming experiences. We manage these early traumas by a process known as psychological splitting, whereby the overwhelming experiences are split off and buried in our unconscious. This is a natural and essential process that supports our survival at that time. However, these buried experiences are silently present, influencing our way of being in the world. In order to ensure that the painful split off experiences don’t resurface, we develop different behaviours to help keep them buried. For example workaholism or, at the other extreme, excessive sleeping. We call these patterns of behaviour ‘survival selves/strategies‘. This diagram illustrates the split selves resulting from this early trauma. It’s often very difficult to get to these early experiences because we usually have no memory of them. Identity therapy offers a way of accessing, releasing and integrating these early experiences, thereby regaining a sense of wholeness and becoming who we really are. How we manage later traumas and challenges in life often has its roots in very early unconscious experiences and dynamics. Identity therapy identifies two types of early psychological trauma – the Trauma of Identity and the Trauma of Love. Our childhood attachments are at the heart of who we are and how we live our lives. Central to these is our connection to our mother. Our mother is our earliest source of love, security, nourishment and empathic mirroring and we are exquisitely attuned to her in order to get these needs met. However, our mother’s ability to meet these fundamental needs can be compromised by challenges in her own life – how safe and how physically and emotionally supported she feels as she supports us, and how these fundamental needs for love, security and empathic mirroring were met for her in her own childhood. It may be that from a very early period in our lives we are forced to give up our own needs and to identify with our mother’s needs and wants in order to maintain our connection with her. This becomes a Trauma of Identity. We survive by giving up on our own autonomy in some way. Our mother needs us to be a certain way in order for her not to feel overwhelmed. As a child we unconsciously pick up on this and react and behave according to our mother’s unconscious expectations. For example, if our mother suffers from depression or anxiety we might pick up her need to be mothered, and we end up caring for her, thereby developing an identity as a ‘carer’, a compulsion to care for others, whilst at the same time neglecting to care for ourselves. Alternatively, it may be that our mother may need us to stay close and dependent on her, as a way of managing her own traumatic feelings. Then we are not able to separate ourselves from her and become a fully autonomous and independent adult. As a result of the Trauma of Identity, our contact with our mother can become bewildering and unfulfilling, instead of clear and loving. We are not being seen and loved for who we are and how we are. This manifests as a Trauma of Love. We internalise this as an unloving or even self-loathing attitude towards ourselves. This will lead to us having difficulties maintaining a good loving relationship with ourselves and others as an adult. In this context it is difficult to have a clear sense of who we really are, what we want for ourselves and where the choices we make as we progress through life are coming from. Identity Therapy is designed to address and resolve these issues. The Identity Therapy process creates a safe environment to explore who we are and what we really want for ourselves as an adult in the present (as opposed to the child that didn’t have that ability in the past). How does Identity Therapy work? Each session lasts around an hour and a half. The client creates a Sentence of Intention based on the issue they want to explore. It could be something like: ‘I want to be happier in my life’, or ‘I want to feel less anxious’ or ‘I want to care about myself.’ The client writes the sentence up on a board so that everyone can see it. The client then chooses members of the group to represent each word. So for example if there are six words in the sentence, six people are chosen. The ‘representatives’ join the client in the central space. The representatives are invited to pay attention to the feelings, thoughts, sensations, etc, which begin to surface in them as a reflection of some aspect of the client’s Sentence of Intention. As each representative feels into their own experience of the word they have been given, they may begin to move and make sounds or verbalise their experience. The representatives’ thoughts and feelings will then be shared with the client, and the process of sharing creates new dynamics in the group which give further insights to the client. What emerges is a picture of the clients inner world in relation to the issue they are exploring. 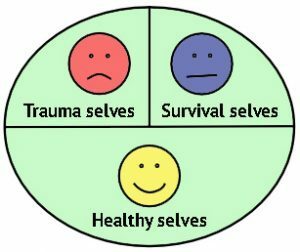 The client can see playing out in front of them the different parts of their inner world (healthy parts, trauma parts and survival parts) and the way that he/she manages these parts within themselves. The client also has an opportunity to see the origins of these dynamics in their family system and how these dynamics still affect or block the client from gaining fulfilment in life. As this process can touch on trauma experiences, powerful insights and feelings might arise. For this reason it is important that the client moves at their own pace – no one is pushed. We also need to consider that in the moment of trauma there is a loss of autonomy, so it is important that the client has a sense of being in charge of their process, whilst being supported by the facilitator. Anyone can do this work, and every one of us is able to represent and to resonate with another person’s inner world. We do this, often unconsciously, every day. In this process we are doing this in a more conscious and directed way. – The process will enable you to explore your early experiences and past family influences. Through this you will gain an understanding of how these experiences are influencing your ability to be in the world in a way that feels satisfying and fulfilling in any aspect of your life. – You can start to distinguish between your own inner experiences and past family traumas or experiences that you have taken on, thereby letting go of these other influences and gradually strengthening the core of who you really are. – During the constellation process the representatives can manifest for us parts of ourselves that we may have split off from a very long time ago, possibly even before our memory or conceptual awareness had developed. Meeting and relating to these parts helps us to reintegrate them and become more whole. – When witnessing the processes of other people in the group, we may realise that the issues and patterns that they are facing are mirrored in our own lives, thereby increasing our own awareness. – When we represent a word, or ‘part’, for someone else, it often raises awareness of how this energy lives in our own inner world, thus indirectly supporting our own integration. Identity-oriented Psychotrauma Therapy, or Identity Therapy, is based on the theories and practice of Professor Franz Ruppert (1957-), developed through nearly 30 years of experience and research, from origins in the Family Constellations method of Bert Hellinger (1925-). 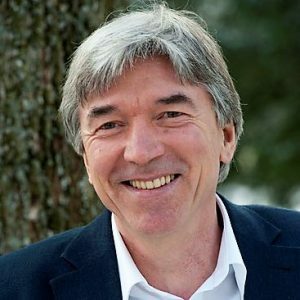 Prof Franz Ruppert has held the post of Professor of Psychology at Munich University of Applied Sciences since 1992. In the mid-’90s he encountered the family constellations method of Bert Hellinger and recognised its power for exploring deep issues to do with bonding, attachment and trauma. After several years of practice, he let go of the formal structure of the family constellations method, to explore elements that were apparent to him but not focused on within that framework. Simultaneously, Prof Ruppert was evolving a coherent theory of trauma, based around the concept of our individual trauma biography, with its origins in early childhood traumatic experiences. Recognising that his theory and method had evolved distinctively from its family constellations origins, Prof Ruppert gave it a new name, initially calling it trauma constellations, and then Identity-oriented Psychotrauma Therapy, or Identity Therapy for short. Prof Ruppert’s Identity Therapy is gaining increasing recognition globally as an important contribution to trauma therapy, both theoretically and practically. Prof Ruppert has written numerous articles and books. Visit our Resources page for more information and links to key videos posted on YouTube. The Centre for Healthy Autonomy has been established as the home for Identity-Oriented Psychotrauma Therapy in the UK. It was set up by Vivian Broughton, who has been a student, colleague and friend of Franz Ruppert since she first invited him to the UK in 2004. Vivian Broughton has edited the English translations of all Prof Ruppert’s books. Her own book, Becoming Your True Self, provides a simple and accessible introduction to Identity Therapy theory and practice, and has been translated into several languages. 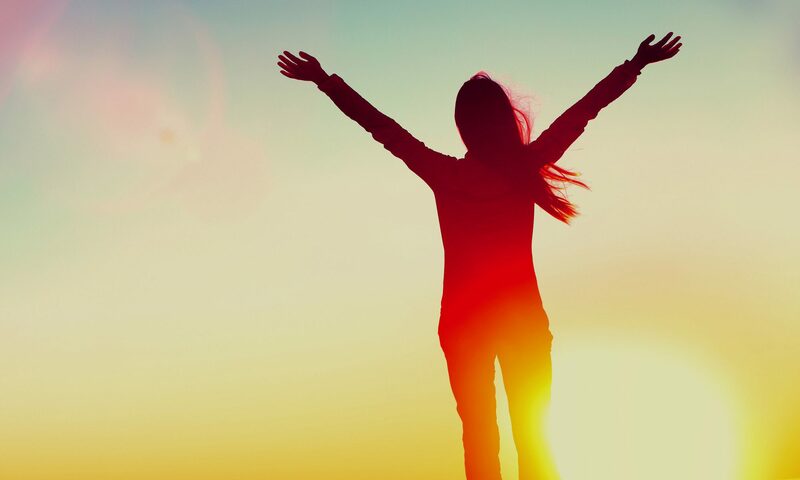 Vivian runs an Identity-Oriented Psychotrauma Therapy training programme in London, which is helping to create a growing body of practitioners of this method in the UK.